At Arabella Rose, we are specialists in hair extensions. We pride ourselves on creating natural, handmade extensions that are completely customised to your desired style and, of course, your natural hair. In order to create the perfect colour match, it’s essential to match all the different hair tones and shades. Many hair extensions are factory-made and already pre-tipped in single colours. These are then placed individually when attempting to colour match. Unfortunately, this leads to extensions looking unnatural, as it’s impossible to get an exact colour match when there are so many different shades. Our colour mixing technique, however, incorporates every tone in each hair extension strand. Arabella Rose hair extensions are individually tailored to you. The result is a seamless finish from which it’s impossible to tell where your own hair ends and the extension begins. 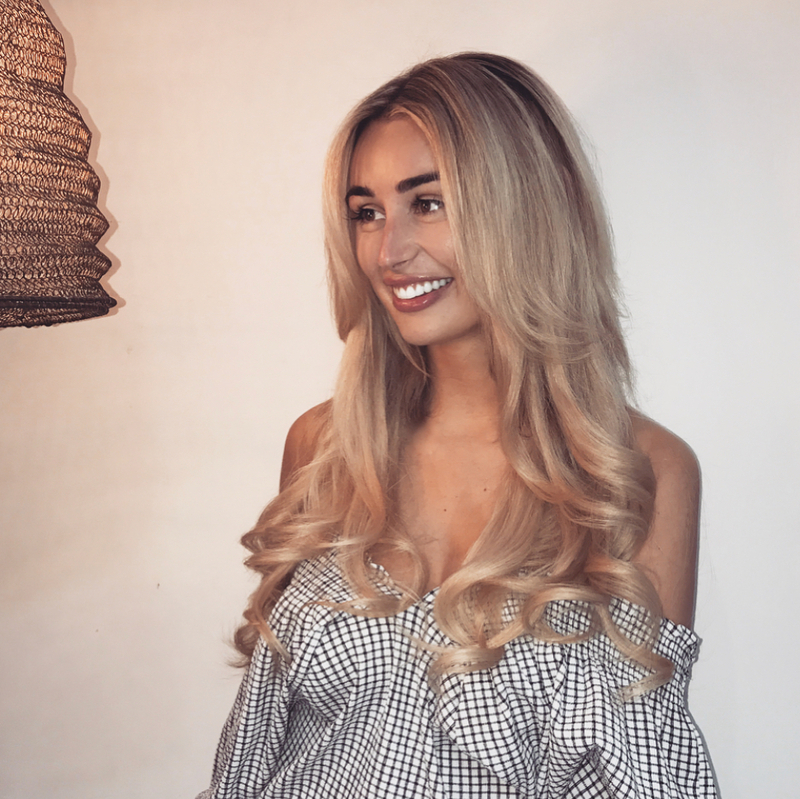 Following the preparation of the bespoke hair extensions, we use an attachment technique that’s entirely free of glues, heat, chemicals, sewing or braids, meaning that there’s no damage to your natural hair. Our method combines strands of your own hair with the handmade extension, which is then sealed and locked into place using tiny, undetectable rings. To remove them, we simply loosen the lock and the hair extension slides out. Finally, as part of our service, all our hair extensions are styled to perfection in our innovative Blow-Dry Bar. Clients seek our expertise hair extension services and happily travel from Buckinghamshire, Essex, Cambridgeshire, Northhamptonshire, Bedfordshire, Middlesex, Oxford, Hertfordshire and many more counties. Contact us today about a free hair extensions consultation at our salon. We look forward to seeing you.